Some cruise ship passengers who paid tens of thousands of dollars to ply the fabled Northwest Passage this summer got stymied by an old foe: jumbled rafts of ice. Several companies turned back or rerouted Arctic sailings after the open-water conditions of the past several years gave way to relatively heavy ice. The famously impenetrable route recently opened by the warming waters of climate change attracted its first luxury cruise ship in 2016 when a thousand people aboard the Crystal Serenity steamed into Nome. Other, smaller cruise ships followed, a new industry connecting the Atlantic and Pacific oceans by way of the Canadian Arctic. Nome welcomed the influx of well-heeled visitors eager to try dog sledding and gold panning, get a glimpse of the musk oxen that gravitate to town, or buy Alaska Native crafts. But this summer, the French cruise company Ponant turned around a ship coming west through the passage after the captain encountered "jumble ice" and didn't feel it was safe to continue, according to Nome Mayor Richard Beneville. The company opted not to send a second scheduled ship from Greenland. Passengers who paid at least $31,000 each instead had to settle for an exploration of Baffin Island and other destinations in the eastern Canadian Arctic before returning to Greenland, according to a report in Travel Weekly. Norway-based Hurtigruten also altered a Northwest Passage cruise from Canada, diverting a Sept. 9 departure from Cambridge Bay to a new launch at Pond Inlet, about 650 miles to the east, Travel Weekly reported. 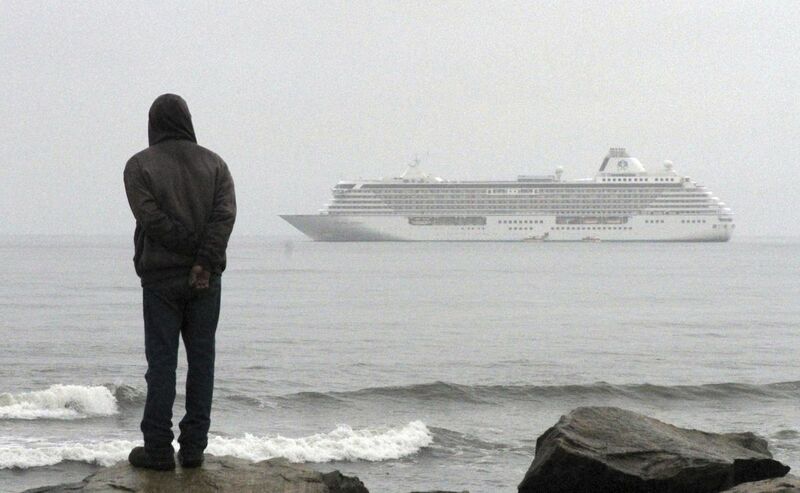 And the Silversea Cruises ship Silver Explorer skipped many calls on a July 25 departure from Nome after weather maps showed most of them iced in. Hurtigruten in an email response forwarded by a public relations firm said different ice conditions this year in Cambridge Bay — an "iconic Northwest Passage port" — prompted the planned rerouting for the expedition ship. Passengers knew about the modification ahead of time. "There will always be uncertainties, and ice and weather conditions are key expedition variables," the company said in an email from Hill+Knowlton Strategies. "Although all our Northwest Passage sailings are thoroughly planned well in advance to offer our guests the best expedition cruise experience possible, the ever-changing ice conditions mean that our exact routes are always determined as we sail." An ice-free trend and several years of low ice attracted cruise companies to the Northwest Passage. But while bookings may start a few years in advance, ice forecasting remains a short-term science — at best. Is there a prediction for next year's ice yet? "Not that I know of and probably not that I would put a lot of confidence in," said Andy Mahoney, an assistant research professor in the University of Alaska Fairbanks Sea Ice Group at the Geophysical Institute. "We're just not good at predicting that far ahead." This summer was relatively cool and spring started late, leading to a "really heavy ice year" compared to the past few, Mahoney said. "The Beaufort Sea and east into the Canadian Archipelago held quite a bit more ice than we've seen." He described the ice blocking the western entrance of the Northwest Passage in the area of Amundsen Gulf as rotten and not a continuous sheet — floes that vessels must push aside rather than break. "That's easy for an icebreaker to do but if you're not an ice-reinforced vessel…," Mahoney said, adding that even if ice doesn't puncture a ship's hull, it can wreak other damage like blocking cooling water intakes. "A lot of vessels don't want to go anywhere near ice." Crystal Cruises, which operates the Crystal Serenity, chose not to sail the passage this year. But the company is advertising a new, "polar-class megayacht" to debut next year, according to a report in High North News. A corporate spokeswoman said the company is "always looking to offer diverse itineraries" but has not announced any new routes in the region. In Nome, the ships were missed though a half-dozen others did call on the city that also marks the end of the Iditarod Trail Sled Dog Race. The loss of the cruise traffic is "disappointing, certainly" but doesn't seem to portend a colder trend in the Arctic, Beneville said. "Some years are going to be easier than other years."